Wishing all a Joyous Brightweek! Christ is Risen! 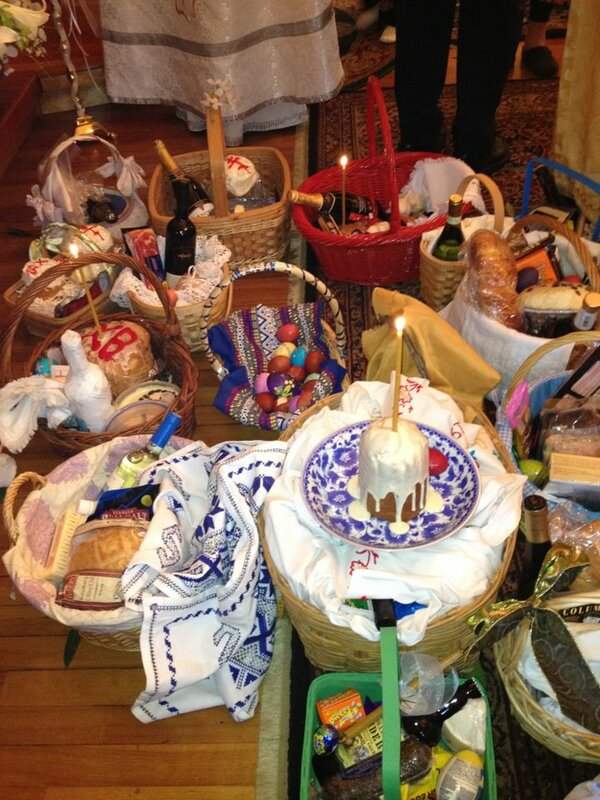 Pascha Baskets at St Silouan’s 2012. Which one is mine? Thank you to Elizabeth Reese for sharing. Քրիստոս յառեաւ ի մեռելոց! Օրհնեալ է յառութիւնն Քրիստոսի! Cristo ha Resucitado! En verdad esta Resucitado! !المسيح قام! حقا قام ! This entry was posted in Events, Miscellaneous and tagged 2012, Christ is Risen!, Пасха/Pascha, Hristos a înviat!, Χριστός Ανέστη!, Orthodox Easter. Bookmark the permalink.